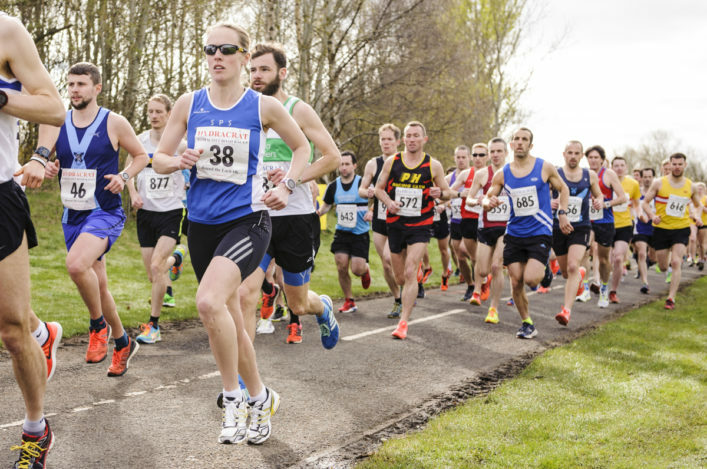 The scottishathletics Road Race Grand Prix season kicked off in style on Sunday with athletes from all over Scotland travelling to Strathclyde Park to compete in the 53rd Tom Scott Memorial Road Races sponsored by Hydracrat on a scorching day in Lanarkshire. 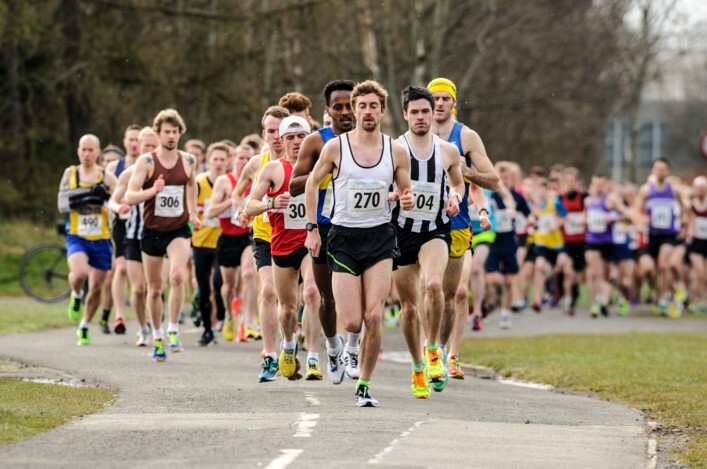 The road races, comprising of both the 10 Mile Championship race – which includes the Scottish, West District and Scottish Veteran Championships – and the Round the Loch 6k race, enjoyed one of the most successful ever editions in its long 53 year history. The significant news was that a new record for 10 mile competitors was set with upwards of 280 athletes taking part on the day, while a further 50 completed the Round the Loch 6k course. The big winners of the day were Craig Ruddy of Inverclyde AC and Megan Crawford of Fife AC, who took home the titles in the men’s and women’s 10 Mile Championship races. By winning their respective races, Ruddy and Crawford were crowned Scottish 10 mile champions, whilst Ruddy also became West District 10 mile champion. Ruddy, who battled with Tewolde Mengisteab (Shettleston Harriers) and Michael Crawley (Corstorphine) for much of the race in the breakaway pack, pulled away in the final 50 metres to win the Tom Scott Memorial Trophy in a time of 49 minutes and 22 seconds, with Mengisteab just 4 seconds back in 2nd with Crawley in 3rd. Robert Gilroy, the champion last year on the event’s visit to Carluke, fought valiantly to finish in 4th place in an admirable defence of his title. In the women’s race the Granville Trophy was won by Megan Crawford, who led comfortably ahead of Gemma Rankin and finished in a time 56 minutes and 48 seconds. Rankin, of Kilbarchan AAC, finished 2nd in 58:07 whilst 3rd place went to Lyndsay Morrison of Central AC in a time of 1 hour and 33 seconds. With several age categories within the 10 mile races there were a host of other Scottish and West District champions crowned on the shores of the Strathclyde Park Loch. For the second year in succession the Turnbull Rose Bowl – which is awarded to athletes in the Veterans 40+ age group – was awarded to David Millar of Irvine AC in a time of 52 minutes and 49 seconds. 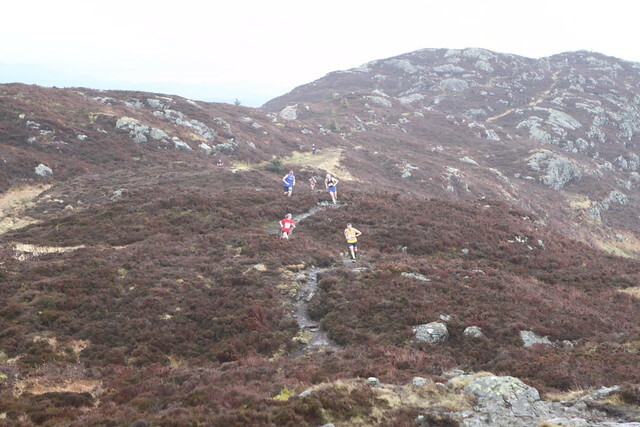 Kerry-Liam Wilson and Steven Wylie – both of Ronhill Cambuslang – finished in 2nd and 3rd respectively . In the ladies Veterans 35+ age group the champion was Gillian Sangster of Dundee Road Runners in a time 63 minutes and 8 seconds. 2nd place went to Lindsay Currie of Dumbarton, with Deborah Gray of Bellahouston Road Runners crossing the line in 3rd place. The Jackie Gourlay Shield for the 1st Male Vet 50+ was awarded to Nick Milovsorov, and the winner of the Vets 50+ Female title went to Pamela McCrossan of Clydesdale Harriers. Titles are also awarded to the 1st teams in the event, with teams being crowned as Scottish and West District Team 10 Mile champions as well as champions of the Tom Scott 10 Mile team awards. The Motherwell YMCA Trophy for the 1st male team went to Ronhill Cambuslang, while in the women’s race, the Anna Poulton Trophy was awarded to Shettleston Harriers. The Round the Loch 6k was celebrating its 10th year and once again the race delivered a host of local award winners for home club Law & District, with Jozsef Farcas and Lyndsay Clark winning the men’s and women’s races. Farcas, who crossed the line in a fast time of 19:13 minutes dominated the 6k race and finished 36 seconds ahead of Andrew Clark of Giffnock North AAC, with Luke Foss of Law & District a further 39 seconds back in 3rd place. In the women’s race Lyndsay Clark was another clear winner, finishing in a time of 21 minutes and 53 seconds, ahead of Law & District duo Hilary McGrath (23:09) and Emily McNicol (24:28). Law & District, who enjoyed a fine day when a large number of their members competed in the event, won both the men’s (Luke Foss, Stuart Leghorn, Patryk Szymanski) and women’s (Hilary McGrath, Emily McNicol, Linzi McLaren) team prizes. The Tom Scott Memorial Road Races would first of all like to thank all of the athletes and volunteers, without which there would be no event. To have such a healthy showing amongst the athletes – who travelled from all across Scotland to compete. The volunteers, whether it be course marshals, registration officials, de-chippers, timing and position officials or photographers, make the event possible and we sincerely thank them for their support once again this year. The Tom Scott Memorial Road Races would like to thank sponsor Hydracrat for providing significant assistance in holding this year’s event. The road races have benefitted from the support Hydracrat have provided and we look forward to working with them again next year. The Road Races would also like to thank Co-Op Funeralcare and Tunnocks for providing water and snacks for the athletes on the completion of the races. This support is very much appreciated as it has helped us to continue to host such an historic event, and we once again look forward to working with them in 2016. A final thanks to Winning Time for providing the chip timing once again this year, to Strathclyde Police for helping to with stewarding, to St Andrews First Aid and finally to the Strathclyde Park staff for providing the facilities for the event to be such a success.